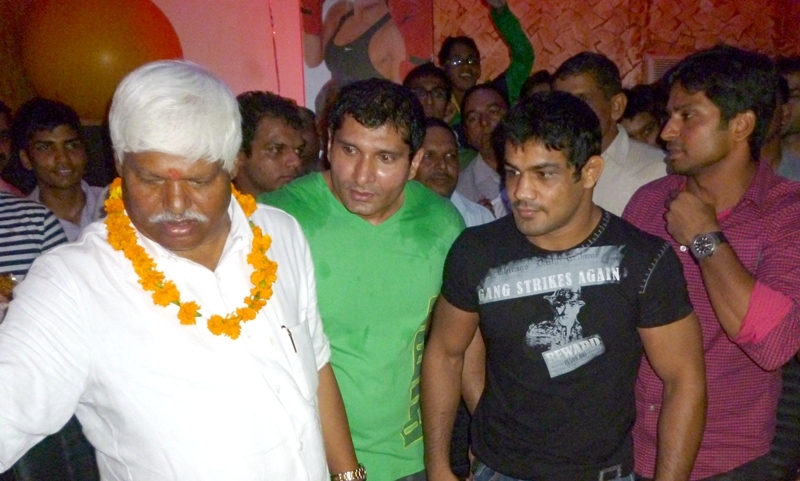 International Wrestler Sushil Kumar who recently won silver medal in London Olympics visited Mirage Health Club, Dwarka along with Member of Parliament –Sh. 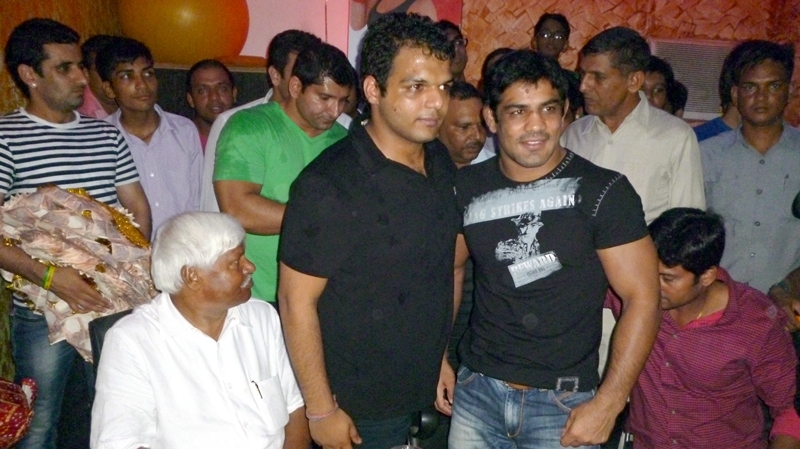 Mahabal Mishra and Vinay Mishra. Mr.Parmod Rathi-Director Mirage Health Club, Dwarka, Sector-10 has been the field of Body Building since his childhood. He has served Air Force for 16 years also. He opened this Health Club on 1st May,2011. Within a year more the membership of the club has reached up to 2000.